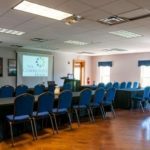 Whether you are hosting a multi-media presentation, an executive level board meeting or volunteers for a soccer group; we have the meeting space for you. With a variety of rooms that seat from 10 to 300 people, The Community House can help you find the space that matches your needs. Our entire facility is wifi accessible. The 29 x 23 foot stage in Kettering Hall is perfect for panel discussions, multimedia presentations, a guest speaker or live entertainment. ♦Package it! 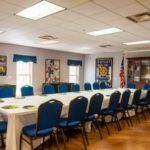 Our multiple sized rooms allow you to use Kettering Hall for a large gathering and the Essley Room, the A+ Room and the North and Kiwanis Rooms for breakout sessions. 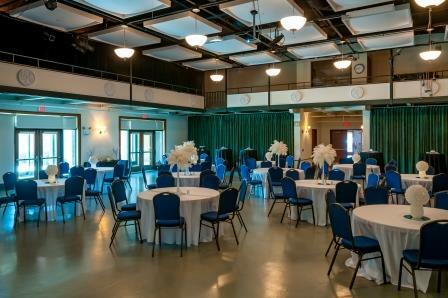 Kettering Hall is designed to host an elegant reception. The well-appointed room comfortably seats 220 for dinner. 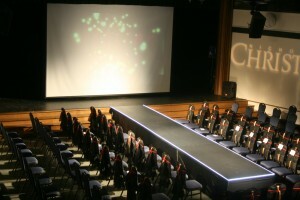 The specially-designed stage is a perfect setting for either a head table, DJ or band. Unlike larger venues with multiple simultaneous events, we will make sure your event is our #1 priority! ♦Package it! Add the back patio for a beautiful space for outdoor seating and every one of our rooms is only steps to our professional grade kitchen for your caterer! Baby showers, birthdays, first communions, retirement parties, bar/bat mitzvahs, anniversaries, funeral luncheons and reunions; The Community House has the flexibility to customize its space to fit your needs. ♦Package it! Add the gym to any rental for the kids to have a place to run and play! 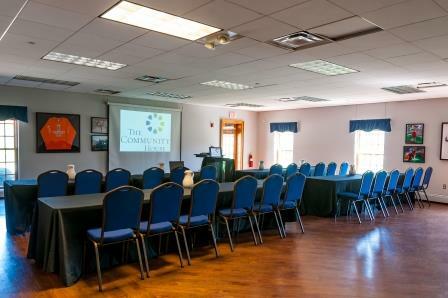 Your rental at The Community House includes complimentary use of a number of items to make planning your event easy. If you’re looking for something a little extra to make your event just right, take a look at the additional items available for a rental fee. To see all the details including rates, room capacities and dimensions, click Capacities and Rates 2018. 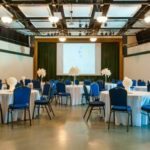 Our largest space, Kettering Hall is a beautiful setting for your fundraiser, wedding, party, dance, performance, concert, seminar, presentation or reception. From the high ceilings to the custom lighting, this centerpiece of The Community House will amaze you and your guests. The space can accommodate large groups for seated meals, theatre style seating or standing room. Your events includes use of the warm and inviting front foyer, ideal for welcoming guests and quiet conversations. Adjacent to our beautifully landscaped Back or Front Patios, expand your event to include outdoor seating overlooking scenic Robbins Park. The stage is equipped for professional sound and lighting. By doubling the size of just the Rotary North or Rotary South Rooms, you have the ability to host larger events, parties and presentations. 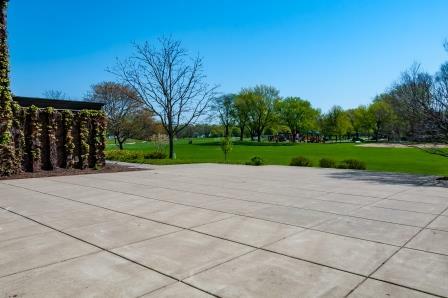 With Robbins Park as the backdrop, your guests will appreciate ample natural light and you will appreciate the array of options you have to make the space look and feel perfect for your event. The ability to add the adjacent Back Patio will allow guests to enjoy outdoor seating and views of beautiful landscaping and open park area. 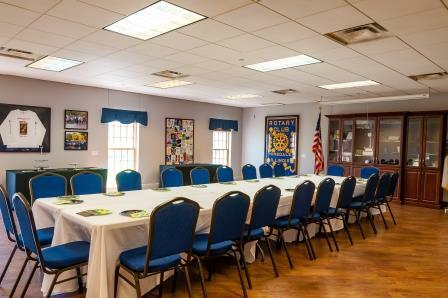 The ideal setting for a party or business meeting, the North OR Kiwanis Room offers bright views of charming Robbins Park and are only a few steps from our kitchen, making it convenient for serving meals to your guests. Separated by a retractable, sound blocking divider, each room can easily adapt to your event. 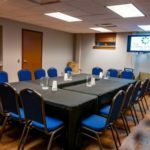 Our high quality portable sound system and multimedia capabilities allow you to hold a meeting, presentation or breakout session with ease. The Rotary North Room opens to the beautiful setting of the Back Patio. For larger groups, double your space by retracting the dividing wall; offering you the convenience of the Rotary North and Rotary South Rooms (see below). 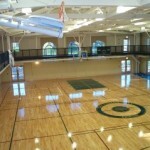 Our beautiful full college sized gymnasium is perfect for your next large event, party or pickup game. The hardwood basketball courts have 4 adjustable height hoops in addition to the main glass backboards. With the capability to erect volleyball stanchions as well, the Fieldhouse is the perfect location for all your sporting needs; and with the ability to cover the sports flooring, the gym can be transformed to seat 400 for your next large fundraiser. 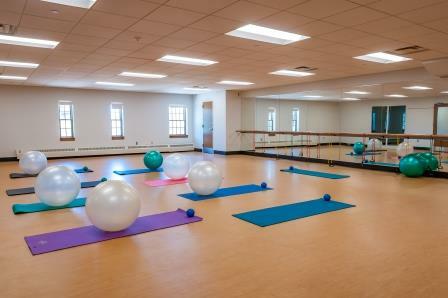 A newly renovated space in The Community House that is geared towards fitness and wellness programs. The room is centrally located and easy to find on the second floor. 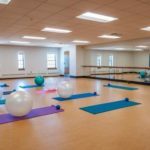 The space is perfect for active participants looking to break a sweat, or, large enough to hold a meeting, dance practice, birthday party or other special event. 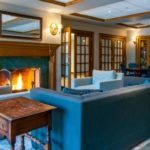 Located just off the Foyer, this charming space boasts wood floors and the ability to incorporate multimedia presentations on the wall mounted 40” HD TV. 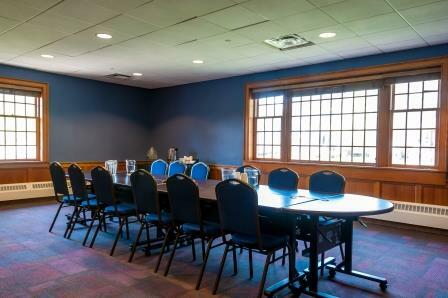 The room is a pleasant setting for card groups, meetings, presentations or breakout sessions. 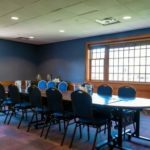 It also serves as an ideal addition to your Kettering Hall rental for a beverage service area, quiet conversation area or a great space to put movies on the TV for the kids! Included in the original building construction in 1956 as The Community House formal Board Room, the Essley Room was named to commemorate the long standing support of the E. Porter Essley family. 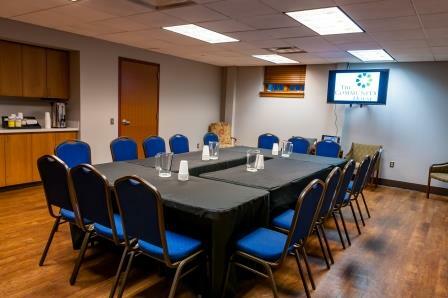 This lovely room is great for a small meeting, seminar or break out session. The wainscot paneling creates a formal appearance and the large windows allow for natural light to fill the room. The warm and welcoming front foyer is like walking into your own living room. 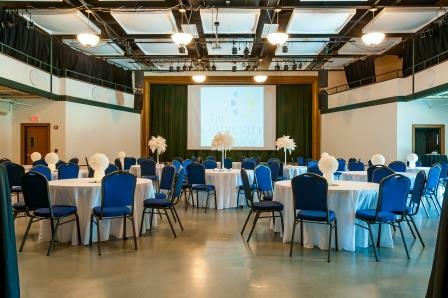 The space is included in your rental of Kettering Hall or can be used separately as a small reception area for your event. 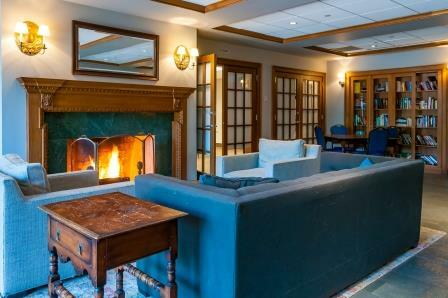 With a charming fireplace as the centerpiece, the area is perfect for welcoming your guests, pre-dinner cocktails, or a quiet place to talk. The Front Patio offers a quiet space directly off the foyer or accessible from the parking area. Host an event with round iron tables & chairs or tent the patio for an outdoor event to remember. 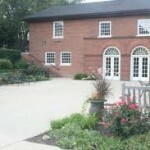 The patio is also easily accessible to Kettering Hall. Outdoor seating is always a destination for your guests to relax and enjoy. 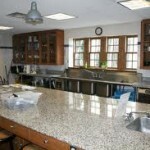 Our spacious commercial kitchen showcases beautiful granite countertops and a close proximity to all of our rooms. There is an abundance of preparation space, stove top and oven for cooking, refrigerator and sanitation area. 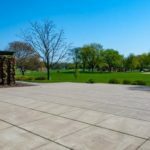 The Back Patio offers scenic views of Robbins Park and is the perfect escape to enjoy an outdoor event. The proximity to Kettering Hall to the west and the North Room to the south make the patio area a great addition to your party or event. You Bring The Kids, We’ll Do The Rest! Check out our variety of Birthday Party Packages where our staff handle EVERY detail!